Hi Ray/Danny Just a quick message to say thanks to both of you for helping us with our order of hardwood screens they look great. Just a quick note to thank you and say how happy we are with the hardwood screens. We have put them around our new pool and we love the result. Dear Ray, Just a quick note to thank you for your prompt service and to let you know how pleased I am with the screens I recently purchased. 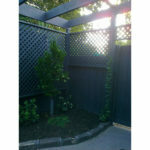 I have attached a photo to show you how well they fitted into our existing pergola which we just replaced. It was a bit tricky but managed to do it with the grape vine in place. 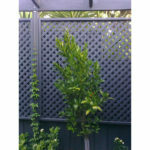 Hi Di, Thanks again for your help, we put up our heavy duty fence extensions on the weekend and they do the job quite nicely. 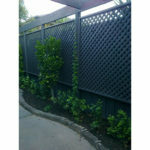 Hi Danny, Just wanted to say thanks again for supplying me with your hardwood Keruing screens. I have stained over them and they look amazing! I am thrilled with the result and it worked out a lot quicker and cheaper to buy the screens off you rather than purchase 90 X 19mm decking and construct the panel myself. 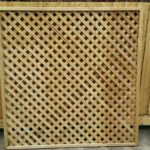 Hi Ray, Apologies for the delay in sending some images over to you but just wanted to say thank you for all of your assistance when purchasing our timber screen with you. Will certainly recommend you to others and hope the images are of some use. Hi Ray & Team, We are thrilled with the toppers you supplied last Sat. The fitting was seamless! Thanks again.